Highly competitive very powerful Kombi Engine for demanding and frequent applications. 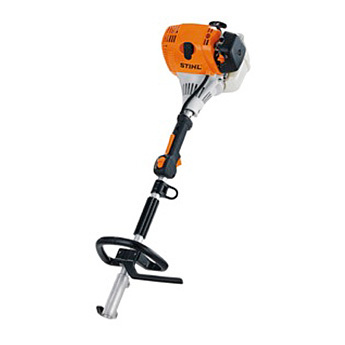 With the patented STIHL 4-MIX engine providing fast acceleration, more power, added torque and increased fuel efficiency when compared to a 2-stroke engine. With loop handle for difficult terrain and confined conditions. Quick release coupling for easy dismantling and changing of tools. Suitable for all KombiTools.